The Jennerit are a ruthless and driven faction, willing to bend the natural order of the universe to ensure their own survival. At its peak, the Jennerit Empire spanned the universe. The Jennerit race originated from the planet Tempest, but eventually moved its seat of power (the “throneworld”) to the planet Jennar as the Empire coalesced. 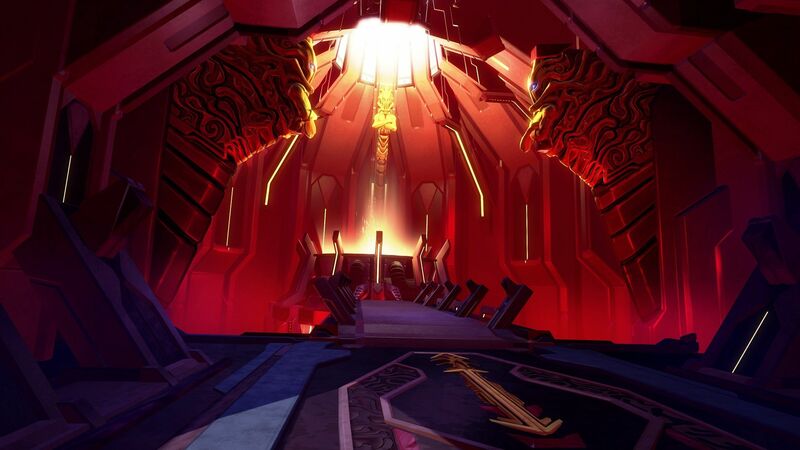 After the Betrayal of Rendain, and the Darkening of the planet Jennar, Rendain moved the official seat of power back to Tempest and renamed the empire the Jennerit Imperium. Masters of their domain, the Jennerit artificially positioned their throneworld, the planet Tempest, to suit the liking of the Jennerit upper-class. 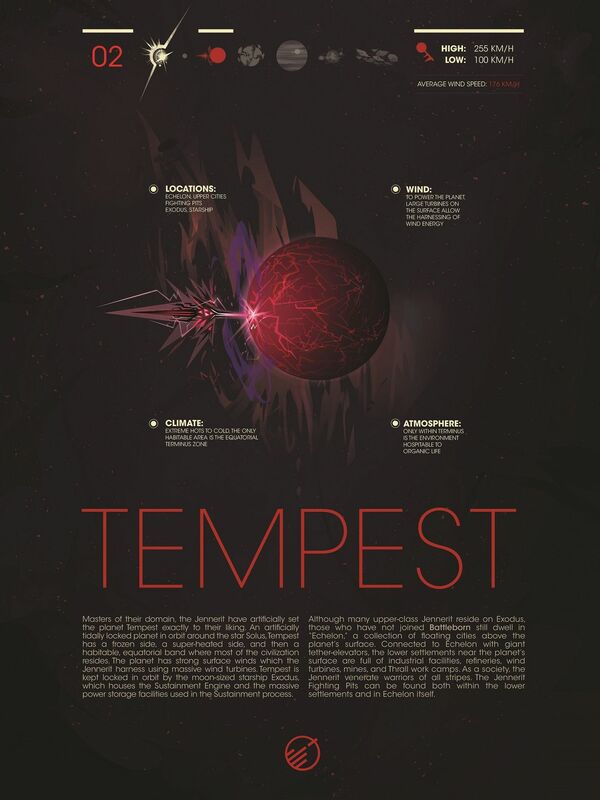 Tempest has long been an artificially tidally-locked planet, set in orbit around the star, Solus. This creates a frozen side of the planet, a super-heated side of the planet, and a narrow, habitable equatorial band where most of the civilization resides. This also means that as a tidally-locked planet, Tempest is incredibly windy, reaching Category 5 hurricane force winds up to 255 km/h. The Jennerit harness the immensely strong surface winds to power massive wind turbines. 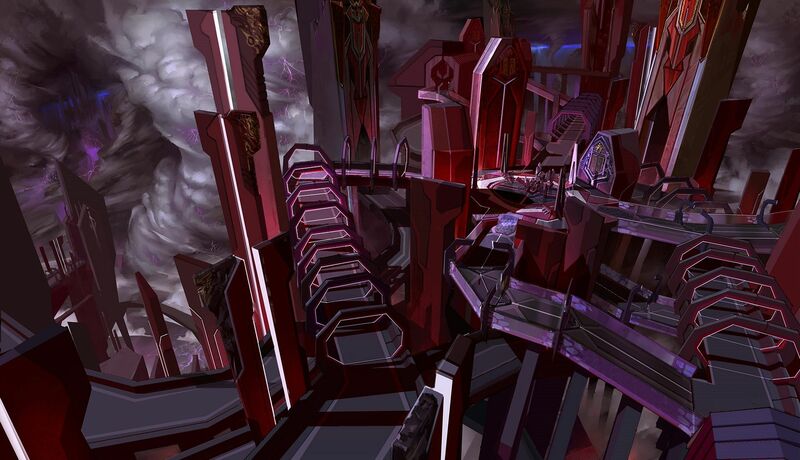 In order to claim full mastery over Tempest, the Jennerit employ a massive moon-sized starship called Exodus. The starship houses the Sustainment Engine and massive power facilities capable of storing energy from other planets (like Tempest) for use in Sustainment. In short, Exodus is essential to harnessing the dark energies of the universe and powering the Jennerit’s Sustainment process. Despite its massive size, Exodus is capable of faster-than-light travel and often moves from planet-to-planet to collect vast amounts of energy to power Sustainment procedures. Many of the Sustained – and those worthy of being Sustained – live aboard Exodus, though some still reside on Tempest. The settled band of Tempest has been built to reflect much of the cultures caste-based structure. 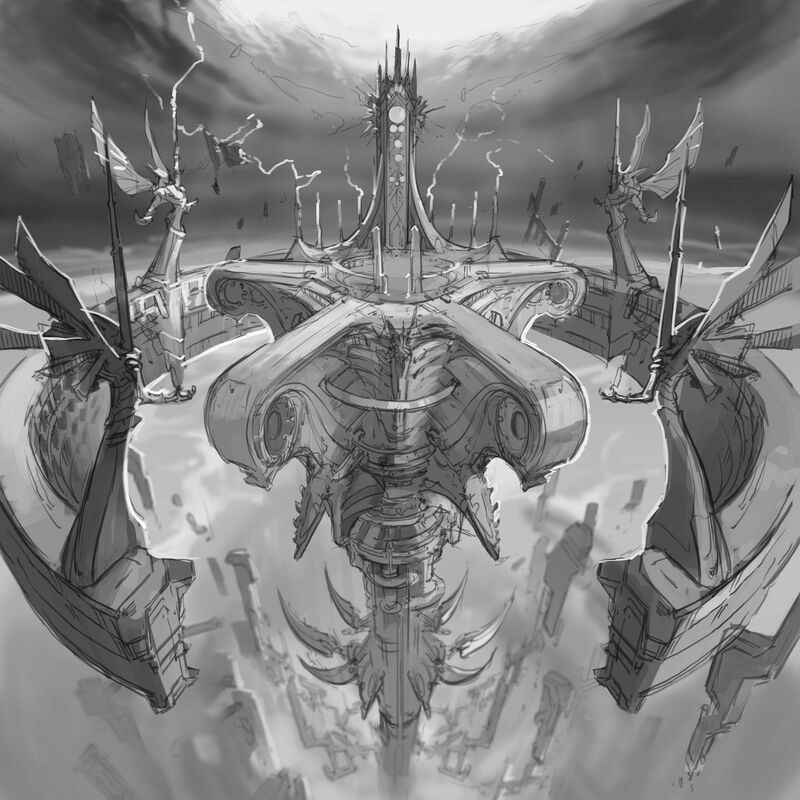 The upper castes of the Jennerit live in floating cities above the planet’s surface, collectively known as the “Echelon.” Here, visitors can view the opulent artistry of the Jennerit culture, featuring ornate gold and red spires and spikes among the spacey-gothic architecture. The lower settlements, near the planet’s surface, are full of industrial facilities, refineries, massive wind turbines, mines and work camps of the Thrall. Giant tether-elevators connect the lower settlements to Echelon, and these giant tendrils reach to the sky across the planet. Lastly, the Jennerit Fighting Pits can be found on almost any settled Jennerit world, both within the lower settlements and within Echelon itself. As a society, the Jennerit venerate warriors of all stripes and participate widely as a culture in observing these events. Learn more about the Jennerit faction and their concept and design!